For those who follow me on Instagram, you may have noticed that I took a little jaunt across the country at the end of July to attend a wedding/have a much needed vacation in Ottawa (and if you aren’t following me on Instagram, get on over there and do it!) Turns out living in small town for the past few years with a somewhat limited culinary scene has reinvigorated me to take lots of food photos of my meals out. So I thought it would be fun to do a little recap of what I enjoyed on my trip, and since it’s Wednesday, I’m going to make this a What I Ate Wednesday (WIAW) post. Even if Wednesday was the only day of the week I wasn’t actually in Ottawa. So, in no particular order, here are some delicious highlights! 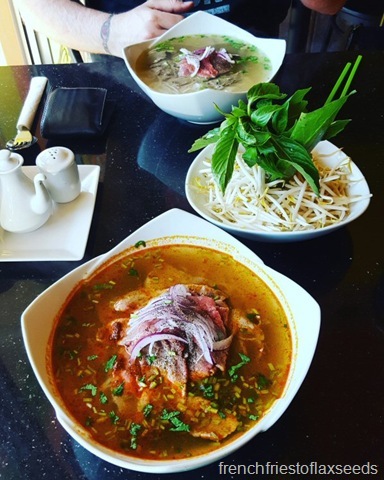 Pho for two from Pho By Night. I went with the spicy version…and then added more sriracha! Dessert masquerading as breakfast! 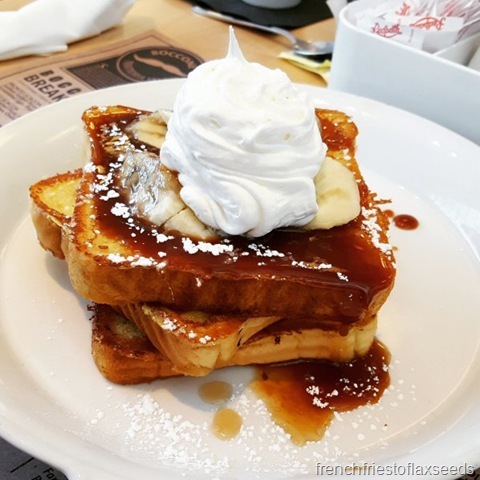 A crazy French toast I ended up with after a red eye flight and unintended layover in the Toronto airport. 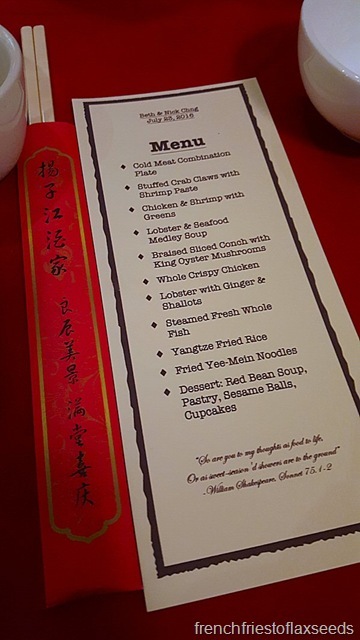 The wedding reception featured a 10 course Chinese meal where I tried both jellyfish and conch for the first time. Not necessarily in a rush to eat them again any time soon. 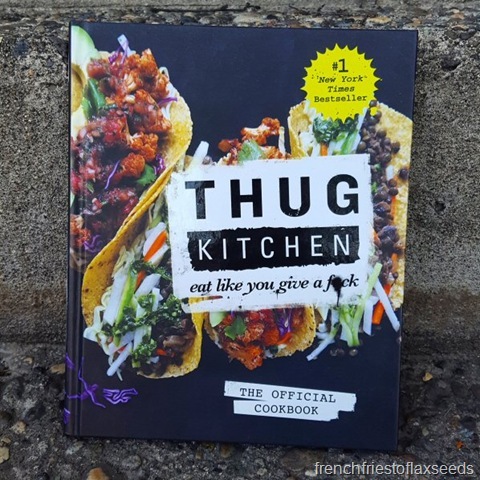 I added a new cookbook to my collection while I was on vacation. 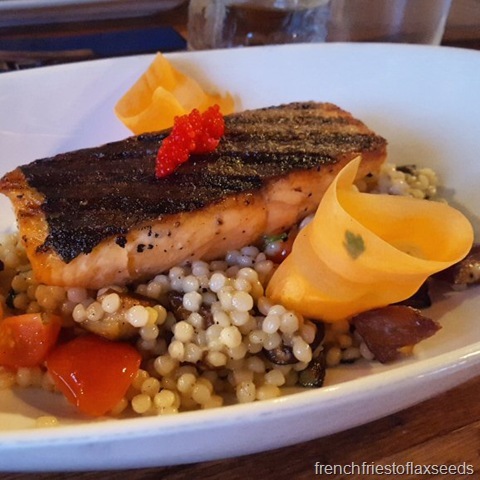 This amazing salmon and Israeli couscous dish from one of my favourite restaurants of the trip, Brothers Beer Bistro. 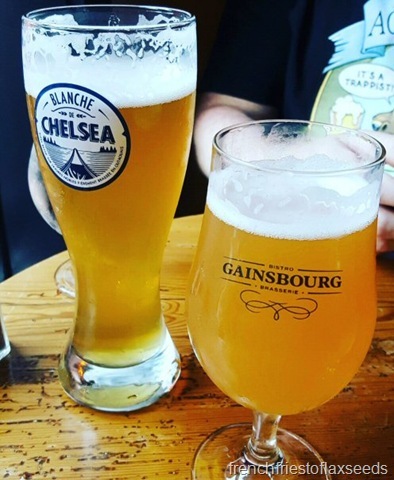 Speaking of beer – we visited a bunch of local breweries while we were in Ottawa, and across the river in Gatineau, Quebec (because if all you have to do is walk across a bridge to visit another province, why wouldn’t you). 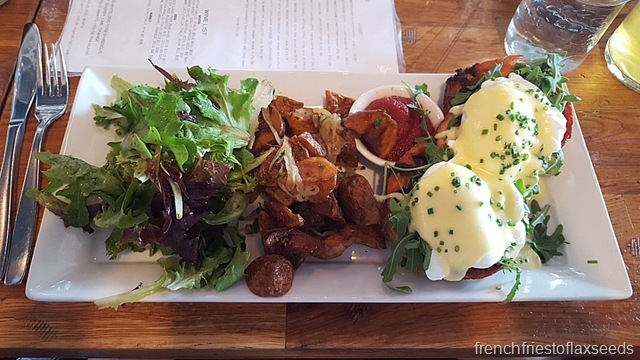 Another meal from Brothers Beer Bistro – this time brunch. A porchetta benny on a house-made biscuit that was pretty much amazeballs. Don’t worry, I also ate vegetables! 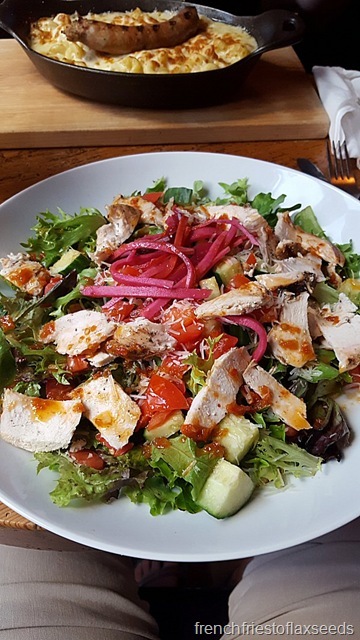 Like this giant salad from Gainsbourg Bistro-Brasserie. Loved the pickled veg on top. 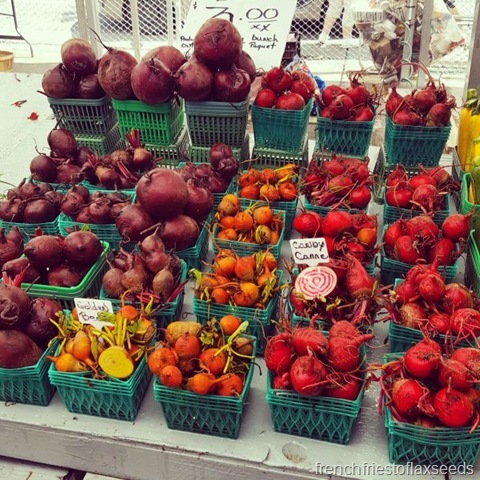 We also checked out the local produce at Byward Market. And there may have been a box of fancy doughnuts from Suzy Q Dougnuts. 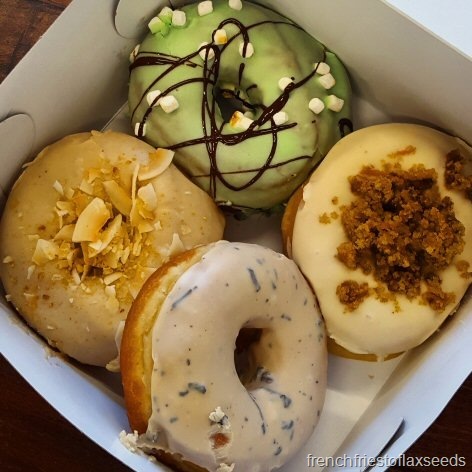 Because I miss good quality hipster doughnuts damnit! One food related event worth noting – we were having lunch one day in Zak’s Diner, and ended up in the background of a promo being filmed with Ben Mulroney, son of former Prime Minister Brian Mulroney and host of eTalk. I tried to take a covert selfie, but it was unsuccessful. Hope you enjoyed some of the culinary highlights from my vacation – I know I enjoyed eating (most) of them! 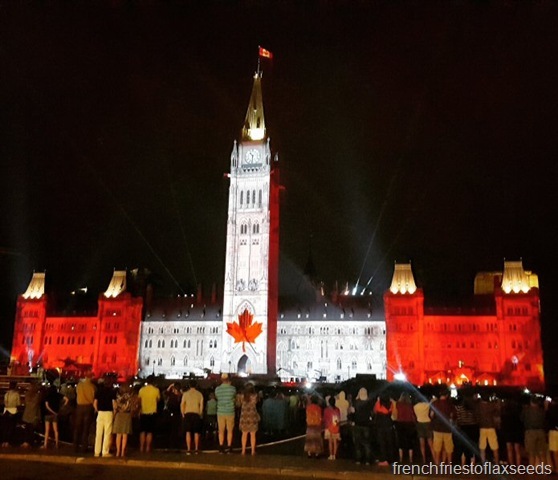 I shall leave you with one obligatory tourist shot of the Parliament of Canada buildings during their evening sound and light show, which was surprisingly awesome. Happy Wednesday everyone! All these eats look great! I was last in Ottawa October 2015 (for the first time in years) and really loved the city and had definitely had some tasty food!